In fact, visiting outside of the summer tourist season is the perfect time to avoid the crowds and get a special glimpse of the landscape and local activities. As the epicenter for the horse world, it’s no wonder that some of the major equestrian events are held here. Visitors to Lexington often come for the big events like the Breeders’ Cup World Championships, which is going to take place at Keeneland in October 2020. The Breeders’ Cup is an annual series of grade I thoroughbred horse races, the highest caliber of racing. 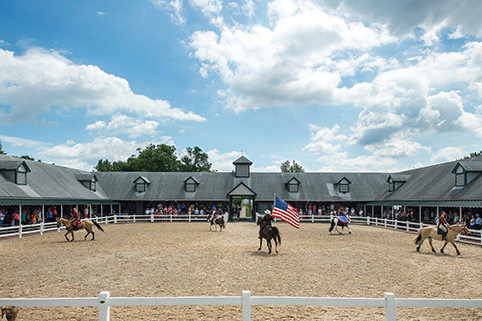 Since 2011, horse show people and spectators have headed to the National Horse Show, the oldest continually run horse show, which began in 1833 at the original Madison Square Garden in New York City and now enjoys its permanent home at the Kentucky Horse Park. 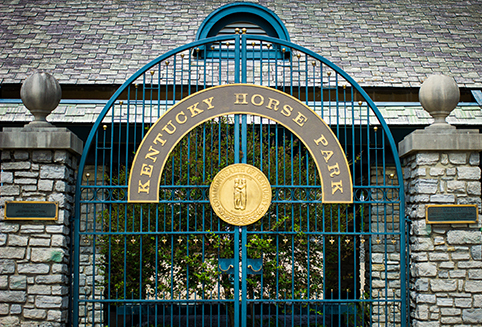 The Kentucky Three-Day Event is the largest annual equine competition held at Lexington’s Kentucky Horse Park. It’s one of only six three-day events in the world that are ranked at the highest level, four stars (CCI****). 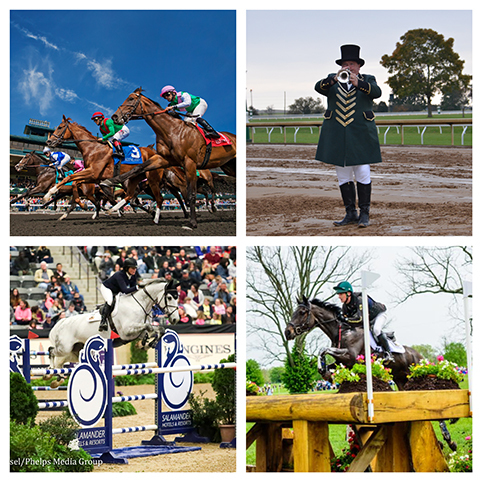 The Kentucky Three-Day Event holds the honor of being the first three-day eventing competition of the year on the international calendar and is held annually during the last weekend of April. The best place to start planning your trip is the Lexington, Kentucky, tourism website VisitLex.com. This is an extremely user-friendly, well-organized tourism site with excellent information and links to all sorts of activities. Our favorite is its list of the Top 10 Things to Do in Lexington, Kentucky. Recently, I ambitiously tried to tackle the top 10 over the course of a weekend. To really enjoy kicking off this list, I recommend that you slow down and do it over a week. • Hall of Champions. The excitement of the racetrack is brought to life by the elite group of champion horses that reside at the park’s Hall of Champions. Here, thoroughbred legends Da Hoss, Funny Cide, and Go for Gin; American Quarter Horse Be A Bono; Standardbred Trotter Mr. Muscleman; and Standardbred Pacers Staying Together, Western Dreamer, and Won The West are shown in daily presentations. • Parade of Breeds. From April 1st through November 4th, see the Parade of Breeds with music, narration, and interaction. From the rare Marwari to the iconic American Quarter Horse, breed representatives perform in hand and under saddle. Every Parade of Breeds show includes an opportunity for guests to take photos, pet the equine performers, and chat with the riders. Visit the Breeds Barn throughout the day, especially in the morning, to see horses being bathed, groomed, and trained for the afternoon show. • Maker’s Mark Secretariat Center. 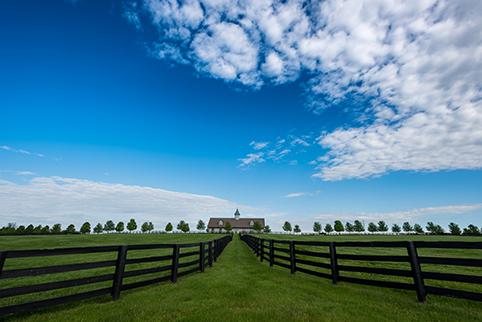 The Maker’s Mark Secretariat Center (MMSC) is an adoption center for former racehorses that’s located in the Kentucky Horse Park. Horses of all levels of ability learn new skill sets and also transition to loving homes and new careers. This is an opportunity to learn what it takes to transition a former racehorse to its new career. The tour offered is suitable for all ages. You might see the horses negotiate an obstacle course, or you may participate in teaching a horse to jump for the first time. Treats are available to feed to the horses. This is an absolute must “to do” while in Lexington. Meet the four-footed celebrities in their own homes on a Horse Farm Tour. You won’t believe the lifestyle of the farms’ most famous residents. There are about 450 horse farms in the region, about 150 in Lexington and Fayette County alone. They’re all working farms, which means you should never just “drop by.” Rather, you’ll need to make an appointment. The best source for booking the horse farm tours is Visit Horse Country Tours. It handles the booking of the tours through its professional website and confirmation service. Tours are generally small groups with plenty of opportunities to ask questions, sometimes stroke a horse, or feed one a peppermint. This is how you can revisit racing history, see the world’s most fabulous farms and barns, get up close and personal with Kentucky Derby winners, and discover an exciting variety of horse breeds. Since these are breeding farms, expect a lesson in the birds and the bees of breeding with more nitty-gritty in some details than in others. • Reserve a seat on a regular guided group tour. 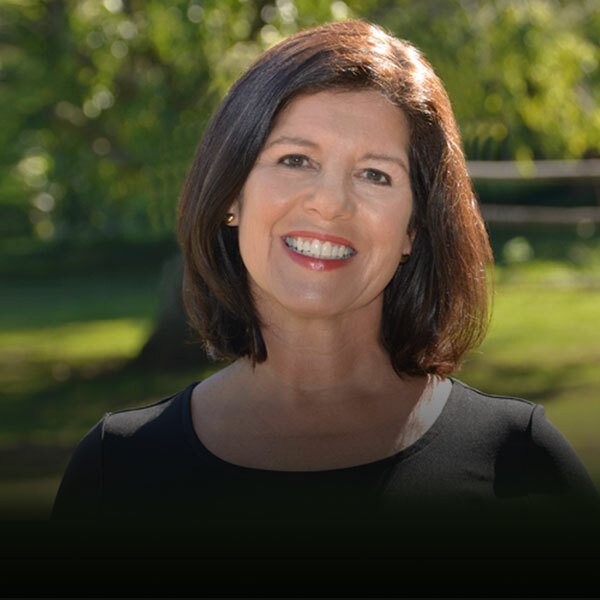 • Hire a private guide to conduct a custom tour. • Hoof it yourself by making appointments at specific farms. 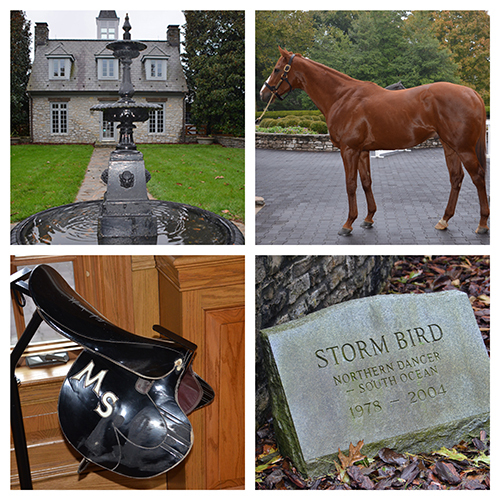 Claiborne Farm is a 3,000-acre private working farm with over 50 barns, 450 horses, and 97 miles of fencing. Tours, by appointment only, are guided walking tours and are offered seven days a week, except in January and February when it’s five days a week. 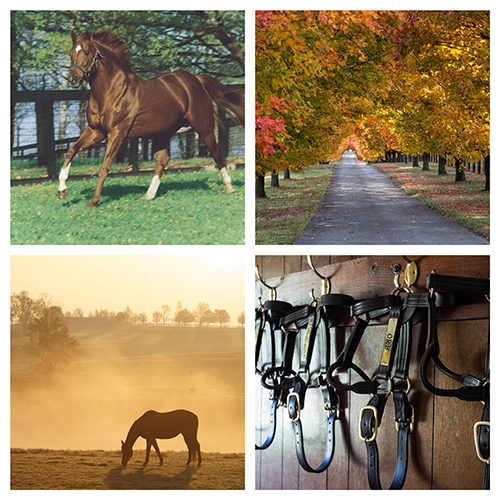 There, you can see stallions, the breeding shed, and the cemetery bearing some of the most illustrious racehorses of all time, including Secretariat, Bold Ruler, Buckpasser, Hoist The Flag, Mr. Prospector, Nasrullah, and Swale. Claiborne has raised 63 champions and 17 horses of the year. Its stallions and progeny have won the Kentucky Derby 22 time, and they have the honor of 19 Preakness wins, 22 Belmont Stakes wins and 29 Breeders’ Cup wins. Six of the 12 Triple Crown winners were sired by Claiborne stallions, most notably Secretariat, the 1973 Triple Crown winner. Current notables include War Front with a stud fee of $250,000, Flatter with a fee of $40,000, and Mastery at $25,000. 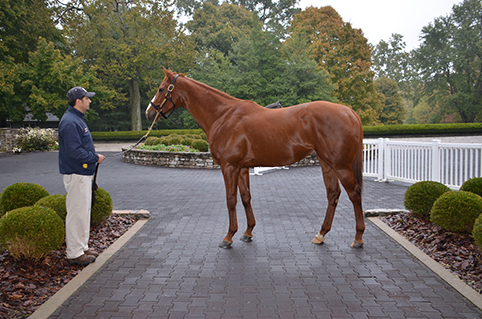 Coolmore, which also has large operations in Ireland and Australia, is home to Triple Crown and Breeders’ Cup Classic hero American Pharoah, along with the Kentucky Derby winner Fusaichi Pegasus, and record-breaking freshman sire Uncle Mo. American Pharoah is in Australia from now through the end of the year. So, do check Coolmore’s website if your heart is set on seeing this great stallion within the near future. Taylor Made tours begin in its new visitor center, located in Daddy Joe’s Bar & Grill, which is part of the 18-hole golf course that the farm recently purchased. The tour begins with an inspirational video and a chance to see horse memorabilia like California Chrome’s racing sheets. You then hop into your own car and follow the tour leader to see the foaling quarters, the paddocks, the yearling area, and the stallion complex. Celebrity stallions include California Chrome, Midnight Storm, Not This Time, Mshawish, Graydar, and coming in 2019, Daddy Long Legs. California Chrome is away for the Southern Hemisphere breeding season and won’t be home until the end of the year. Don’t be dismayed if you can’t see California Chrome. You can see a California Chrome look alike: a miniature horse with similar markings to Chrome. The tour guide brings the tiny horse out for petting, which is a fun thing to do if you bring small children and it makes for a great photo op! When you finish the tour, you can grab lunch or a snack at Daddy Joe’s and choose from its horse racing-themed menu selections, like Preakness mozzarella sticks, Belmont chicken wings, Churchill Downs backstretch burger. Read about more to do in Lexington, Kentucky from bourbon tastings to cultural activities in the upcoming issue of Healthy Aging Magazine. Subscribe!